India tried her best to take Pakistan to International Criminal Court during last years for alleged attacks over Oberoi, Taj Mahal Hotels, Railway Station and 7 storey Nareman House used as worship place of Jews in the most inhabited are of Mumbai on 26 November 2008. The purpose of this struggle was not to get the justice but defame and pressurize Pakistan over the international level. For this purpose Indian govt. contacted ex-Japanese Chief Justice Chikako Taya considered authority for international cases in the International Criminal Court Tribunal at Yugoslavia. She visited India after offer of heavy fees and analyzed the charge sheet against Pakistan consisting of 11000 pages. She expressed that the said charge sheet in which only a paragraph has been included against alleged Pakistani Lashkar-i-Taiba and whole charge sheet consists of excerpts from media and news reports against Pakistan including oral witness of 2202 persons. Similarly, ISI, Pakistan and Pak army has been alleged for these attacks without giving any solid evidence. She said that such a charge sheet might be sufficient for judicial murder of Ajmal Qasab in India but not in the International Criminal Court Tribunal. India executed Ajmal Qasab on the basis of this charge sheet based on hypothesis. Why Indian Special Prosecutor, Advocate Ujjwal Nikam failed to convince ex-Japanese Chief Justice. What was the reaction of India over the remarks and harsh reaction by her? Indian media either was not given information about it or just kept silent. Perhaps Indian govt. was aware of this fact that they do not have any proof against Pakistan. Indians also knew that they will not be able to prove charges against Pakistan in the international court if Pakistan decided defend. World came to knew about the visit of ex-Japanese Chief Justice after this was mentioned in the book “The Secret History of Mumbai Attacks” written by Soraj Kumar Rath. The book not only included the story of Indian attempt to defame Pakistan but also unveiled many secret and undiscussed aspects of Mumbai attacks. Based on the information provided in the book, few analysts criticized Indian judiciary for hanging Ajmal Qasab based on a hypothetical Charge Sheet. They demanded that reality about these attacks should be brought forward. The characters that were arrested by Hemanat Kurkure in connection with terrorism needs to be unveiled that became reason of his murder. However, not only Pakistani media but Pakistani govt. as well remained silent over the book that was published in August 2015 or perhaps due to the ongoing protest and sit in, this important chance was missed. India continued to defame and pressurize Pakistan in the name of fabricated Mumbai attacks. Now once again in the name of Pathan Kot airbase attack India is attempting to either flee from the negotiations or get required benefits. Indian Prime Minister or his Cabinet has not alleged Pakistan directly for these attacks but just like Mumbai attacks, Indian analysts mostly consisting of retired Indian army officers and media has been alleging Pakistan, Pak army, ISI and Jaish Muhammad. Mumbai attacks drama continued for 57 hours but Pathankot terrorists fought against Indian army and air force for 110 hours. The operation against alleged terrorists had started; Indian media telecasted news about the kidnapping of SP Salwinder Singh, his jeweler friend Rajesh Kumar Warma and cook Madan Laal. Indian electronic media did not give much coverage to this story but whatever was published in newspapers has many differences especially from where they were kidnapped near Pakistan and where they were thrown. According to Indian news reports Jeweler Rajesh Kumar says that cook Madan Laal and SP was tied with the trees, how they got free he does not know, however, terrorists cut his throat, when he came to his senses he was under treatment in a private hospital. Indian govt. 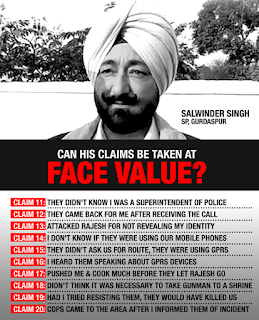 is silent over the differences in the statements of SP Salwinder Singh’s own statements. 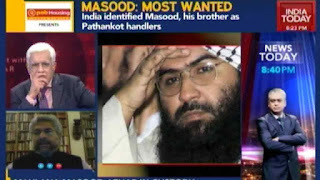 Maulana Azhar Masood and his men have been arrested on the wish of India. 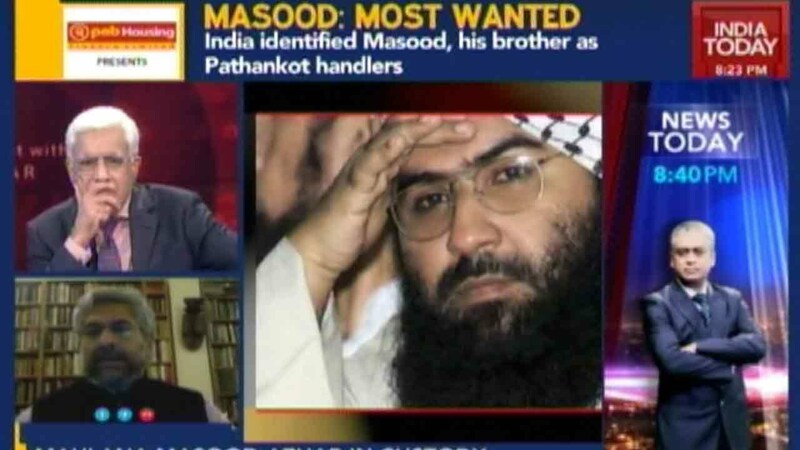 Next demand of India would be handing over Maulana Azhar Masood to India under the allegations of attack over Pathankot airbase. 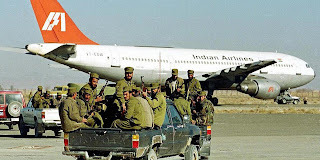 Bruce Redal has blamed Pakistan in his writing, “Blame Pakistani Spy Service for Attack on Indian Airbase”. His enmity against Pakistan is not a secret anymore. In his writing, he has blamed Pak army and ISI directly. His whole article has not a single word of the objections raised in the Indian newspapers. He has just focused on the propaganda against Pakistan that ISI and Pak army are behind these attacks. According to him, Maulana Azhar was already wanted by India. On the night of 2 January 2016 as soon as the attack started, Indian media blamed Maulana Azhar for this attack. 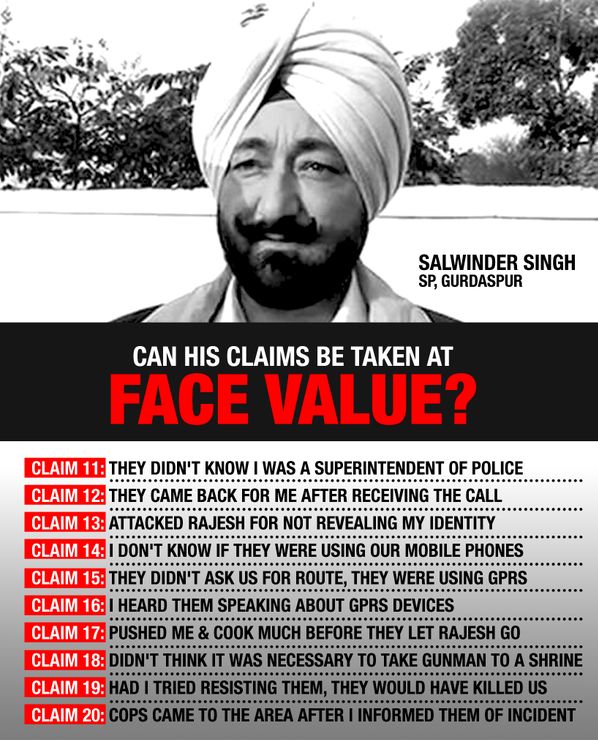 Terrorists called to Bahawalpur after snatching mobile from SP Salwinder Singh, meaning, terrorists equipped with GPS and latest gadgets does not have their own communication system or they wanted to prove their link with Bahawalpur.